If you are into specialty and gourmet products or that you just like to try different food and sweets I think you will like this. Every month, Try The World sends a fine selection of gourmet items from a different country to their subscribers. Each of our Signature Boxes is curated by a distinguished chef, who helps us to select 7 – 8 perfect items representative of that country’s food culture. Items are sourced directly from their country of origin, and they make every effort to work with small, family-owned companies who follow traditional and artisanal methods of production. Thailand, Sweden, and France are just a few of the past countries they’ve been able to share. 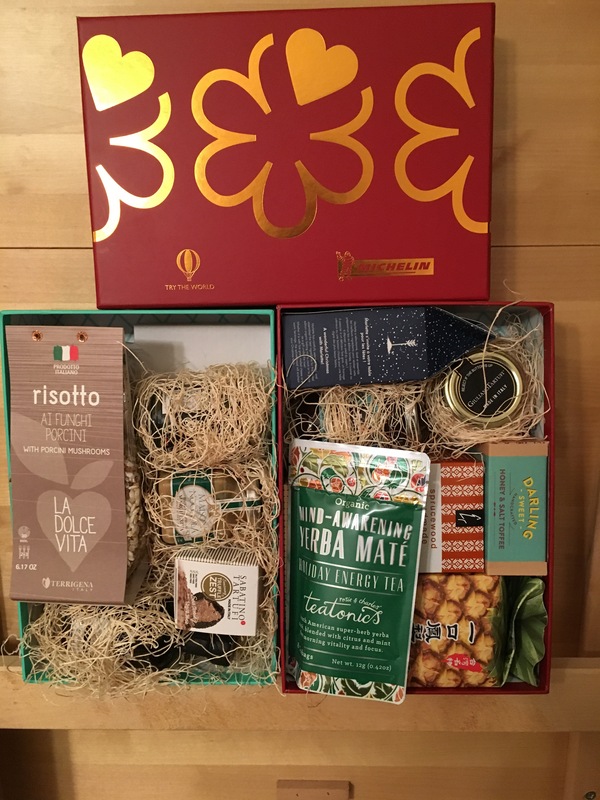 They encourage experience and adventure through the countries’ cuisines, so their Try The World boxes come with a Culture Guide that includes the story behind each product, recipes, music, event ideas and culture spotlights. They also publish an online magazine that continuously allows for more discovery of different cuisines through innovative recipes and exploratory editorial pieces. I was sent the holiday box to try and the products were pretty awesome. Gathered form 8 different countries here’s an idea of the products I got to try. All the products were good and different and it’s kind of cool to get to try products from all over the world sitting at home. It definitely makes for a different experience and can get you to want to experience even more food from those different countries. The packaging is also very well made if you want to use them as gifts. Check out their website and see what they have to offer I think you could like it.